She works hard to make the house lovely, nurture her children, and encourage her husband and friends. You want to give her the perfect gift, but you know she doesn’t want more ‘stuff’. What on earth do you give her? 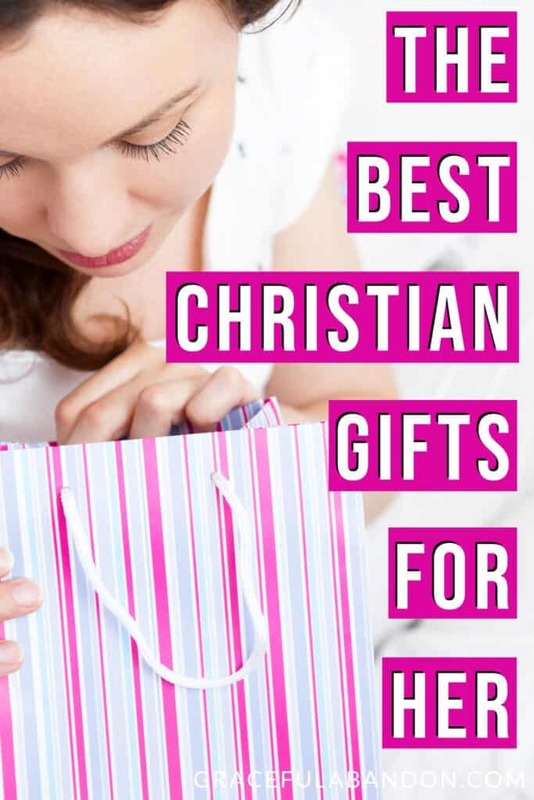 These gifts are encouraging ways that you can show her love and appreciation for all she does and all she is, and they are bound to please with their originality and thoughtfulness. 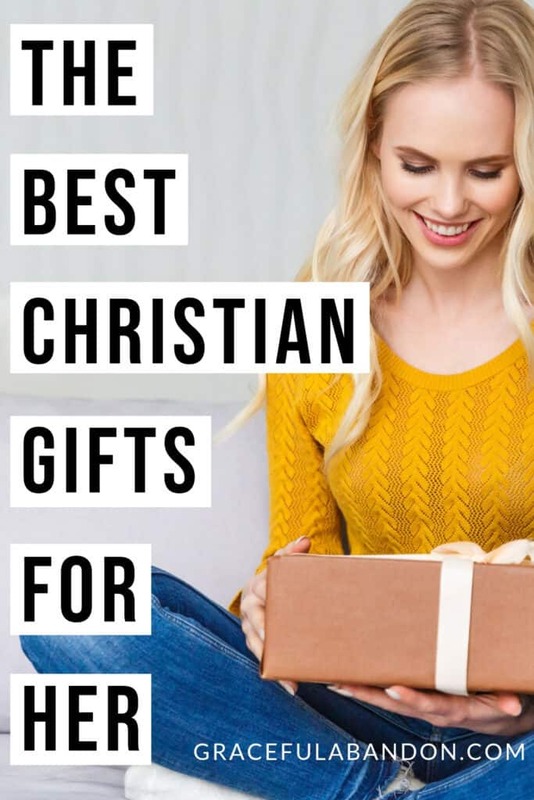 Whether you are looking for the perfect gift to enhance her faith walk, a good book to read, something to spruce up her home, or a gift she can put to use, finding the best Christian gift for her can be challenging…but it’s so rewarding when you get it just right! Here are gift ideas for Christian women that will enhance their spiritual life, their home, their motherhood, or their fun. A journaling Bible is a marvelous gift for the God-fearing woman you want to bless. With wide margins to make notes and lovely illustrations to enjoy, this gorgeous Bible is a sweet and happy way to encourage her in her walk with the Lord. The Illuminated Bible is a breathtakingly stunning keepsake that will make her feel loved and overwhelmed with the beauty of the Gospel. With more than 500 hand lettered gold ink illustrations by a renowned artist, it’s a simply beautiful way to enjoy reading the Bible and if your special lady appreciates ates beauty, this makes the perfect Christian gift for her. And, of course, a journal to jot thoughts, prayers, memories, and more down in. And, of course, she’ll need some supplies to go with her Bible and journal. And even if you aren’t getting her a new Bible right now, fresh supplies are always a gift she’ll enjoy. Papermate Flair felt tip pens are my absolute favorite to journal with! And highlighters that don’t bleed through in your Bible are so nice! Not to mention a lovely yet easy to clean bag to keep everything together from room to room or take on a trip! Anything by Ruth Chou Simons is not only lovely, it’s inspiring. Choosing a devotional book that accurately portrays the Gospel and points you to Jesus (instead of just making you feel good) isn’t always easy. Here are some devotions that will do both for the Christian woman in your life. Wall art is a great way to give an inspiring, encouraging gift that doesn’t add to the clutter or take up extra space. Plus, she’ll smile when she walks by it each day! If she runs around town or just likes to relax outside her home, these gifts are just right. …or any other special nook to curl up in for some quiet time. Whether you’re giving a gift to your wife, daughter, mother, aunt, friend, or teacher, there’s one gift that will stand out above the rest: your gratitude. Be sure to include a little note or heartfelt appreciation with your gift for her, because that will reach her heart in a way that even the years can’t erase. « Should Christian Women Read ‘Girl, Wash Your Face’? I love your gift round up and am thankful for the mention!